The rationale behind labeling this building system as delivering at an "Ultra-High Performance"™ level is based on the system's ability to provide an unmatchable high level of positive financial, physical and environmental performance and benefits at a low ownership cost. The following sections will explain why and how this true "Less is More" 21st century building system has seriously raised the bar on quality, performance, value and Green construction while priced competitive with stick built construction systems. We all need to learn how to stretch the earths limited and depleting natural resources in a far more common sense and environmentally responsible manner. 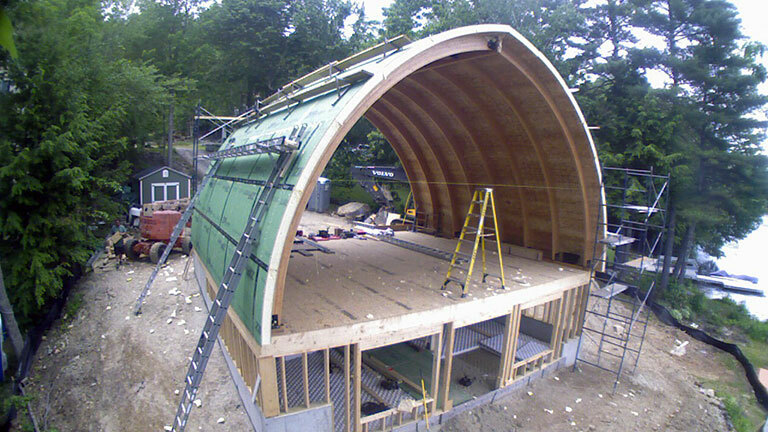 This "Ultra-High Performance Building Shell System"™, requires significantly less materials and resources, and generates significantly less waste materials in the manufacturing and construction phases to generate rugged, spacious, naturally comfortable, low energy, low maintenance and small environmental footprint structures. 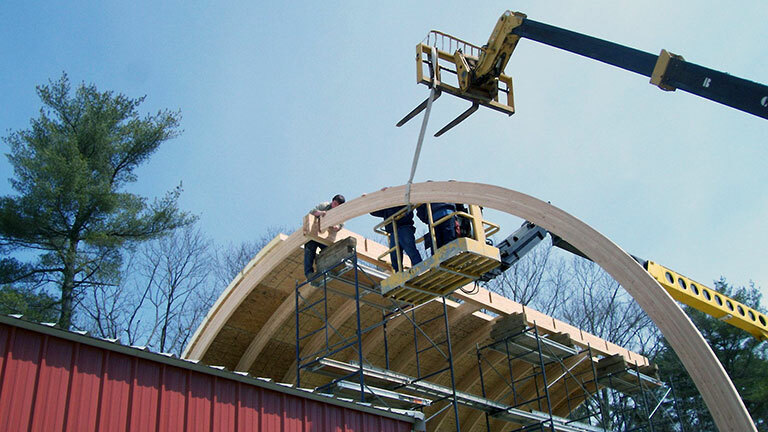 Simply put, an arch structure is inherently strong, it goes up fast, it covers a given floor area using less building materials, it generates a free standing interior space with unlimited floor plan possibilities and it allows for simpler layout changes or the construction of loft or second floor additions in the future. 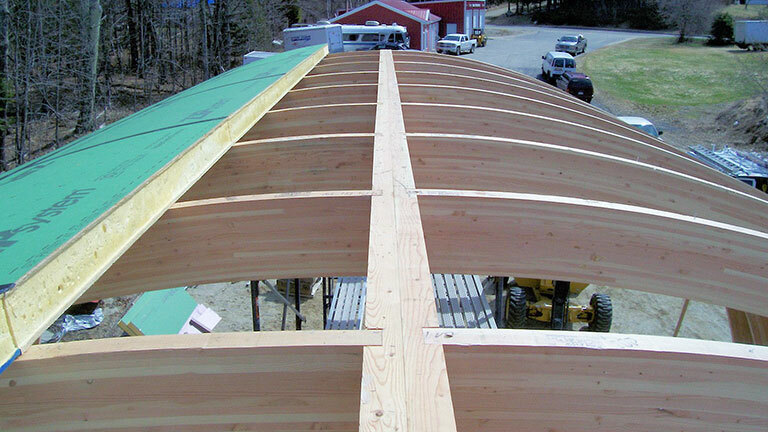 Its geometry provides for the structural integrity to better handle high wind and heavy snow loads while reducing the exterior square footage exposed to the wear and tear of the nature's elements, which directly reduces both energy and maintenance costs. 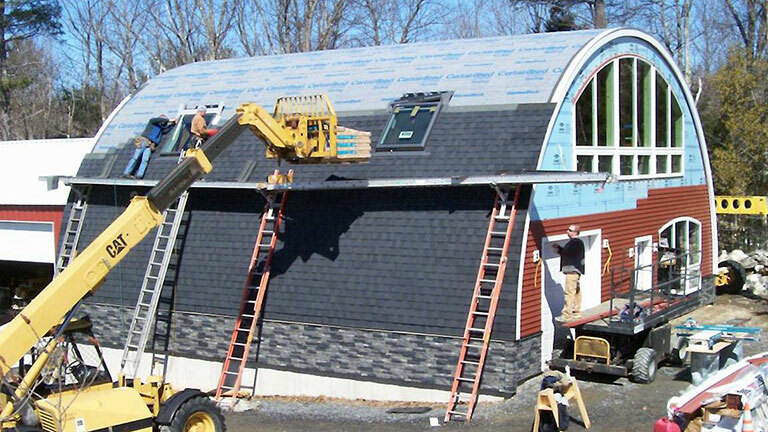 Modern building science has proved that "It's All About the Shell". The shell of a building is the single element in the structure that has direct effect on its financial, physical and environmental performance and long term value. The "Ultra-High Performance Building Shell System"™, has significantly raised the bar when it comes to delivering a true 21st century caliber building concept. 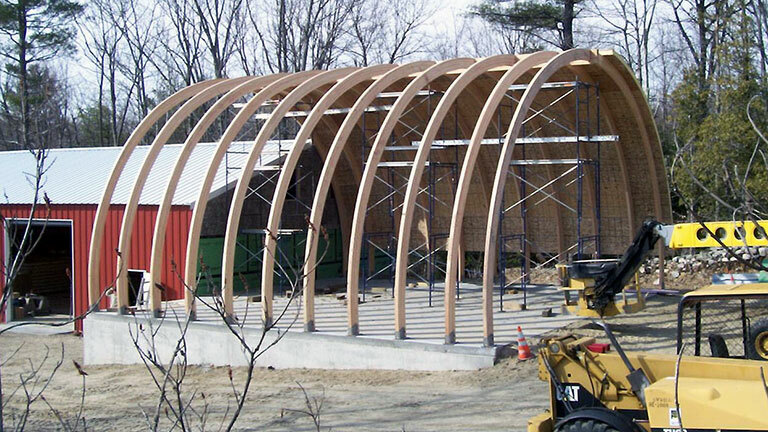 This flexible shell system utilizes the same five components in every building package. 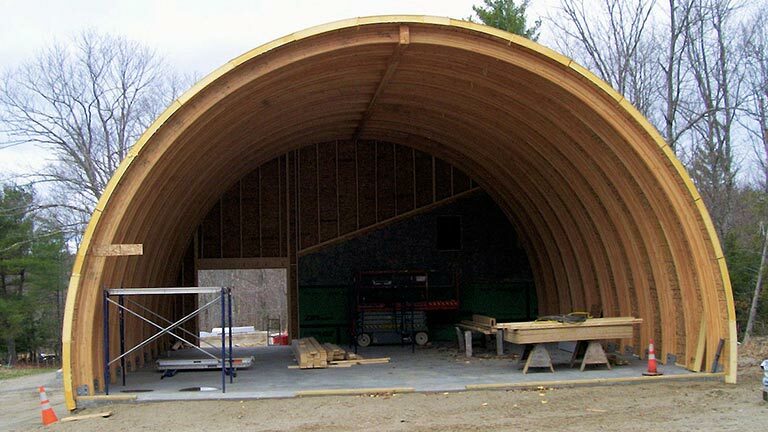 They include a steel glulam shoe, a laminated wooden arch, a steel glulam hanger, a laminated wooden ridge beam and a set of curved structural insulated panels (SIPs). 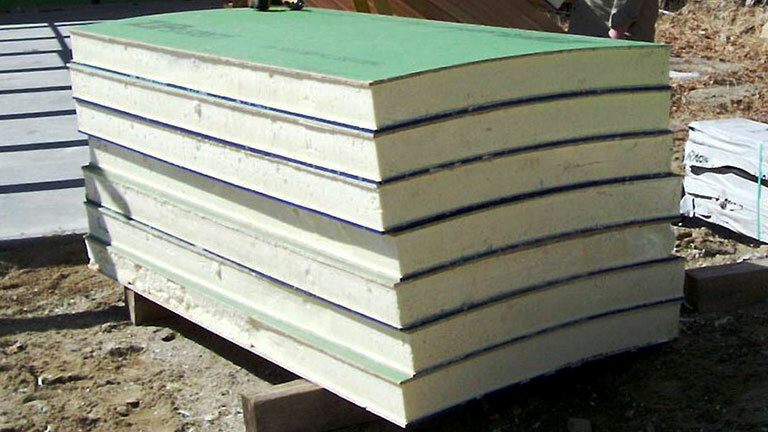 The SIPs are 4'x8'x6" panels insulated with high density closed cell foam, the highest performing insulation material in the conventional construction industry. 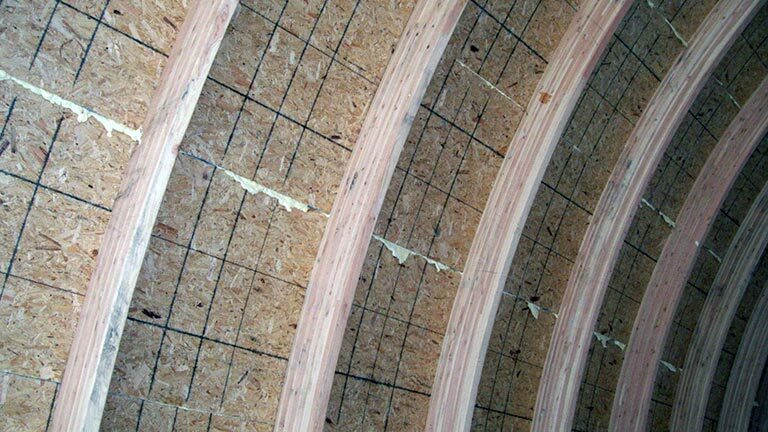 Once glued and screwed into place, the SIPs provide an uninterrupted 5 1/8" band of insulation with no internal structural components, eliminating the too common problem of energy loss through thermal bridging. 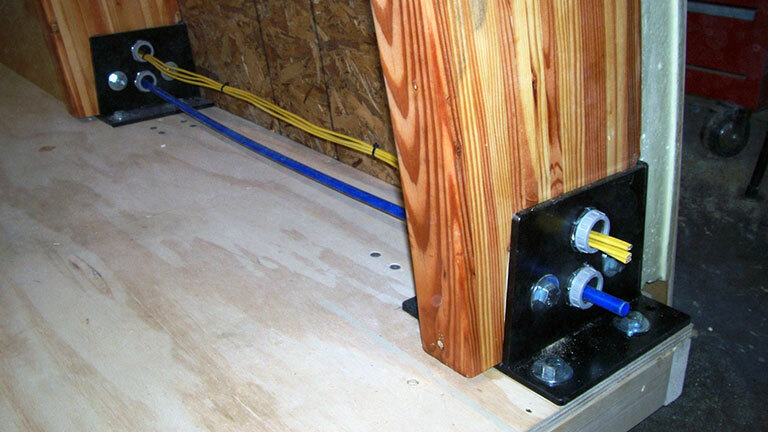 All wiring and piping are run inside the structure avoiding the need to hollow out channels within the SIPs which reduces insulation performance and creates voids where moisture can get trapped and turn into mildew and mold. 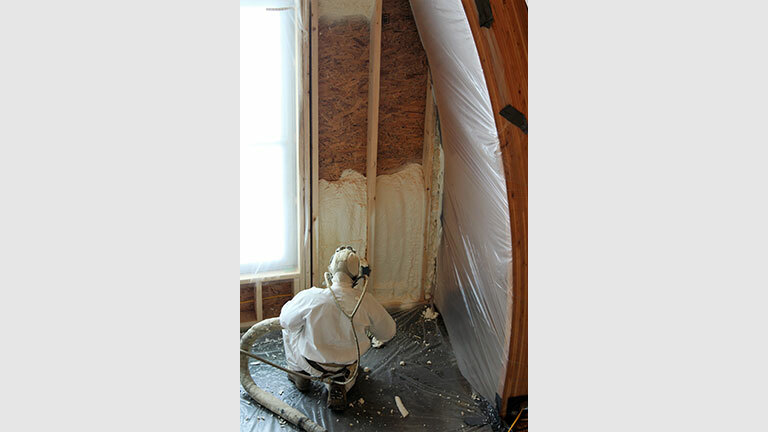 Both gable ends are enclosed using a 2"x6" construction system reinforced with spray foam insulation. 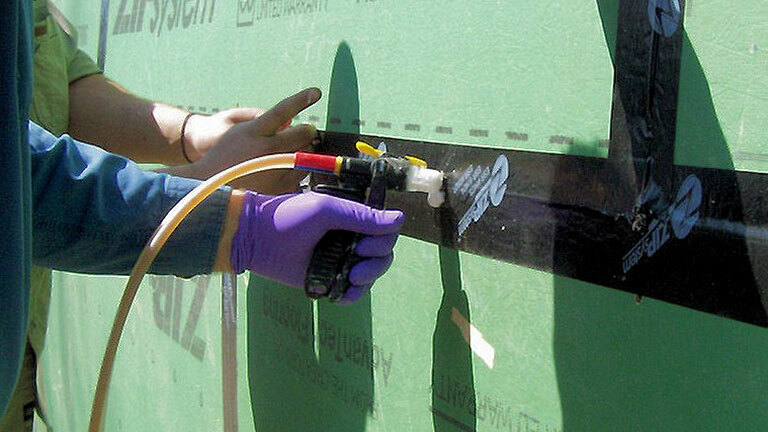 A layer of foam board insulation in installed on the exterior over the exterior surface to eliminate potential thermal bridging problems at the gable ends. 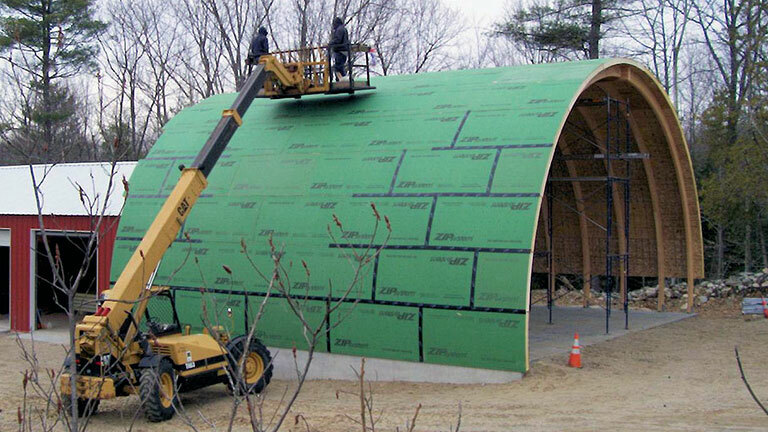 With the foundation in place and all of the shell system components on site, a weather tight shell can usually be erected in 5 to 10 days. Once fully weather tight, the shell system has tested out as allowing less than .60 air exchanges per hour at 50 pascal. 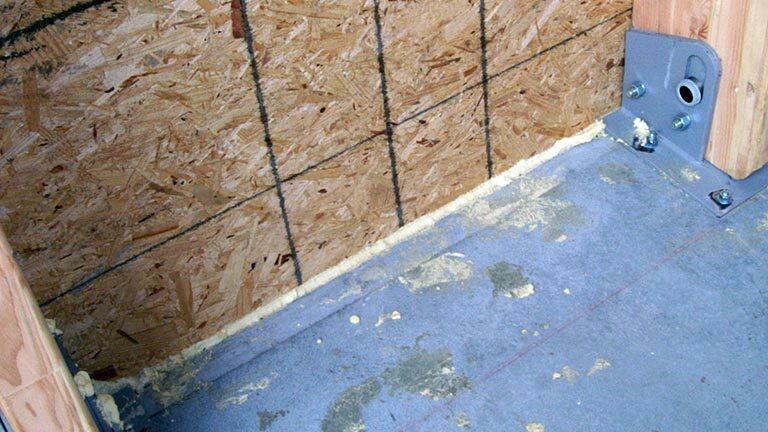 With most conventional building systems constructed loose enough to allow 4 to 6 air exchanges per hour (see "Insulation" section), this feature alone can reduce energy consumption by up to 75%, or even more. Financial: Short construction timeframe to reduce construction and carrying costs – Competitively priced with stick built structures – Significantly lower cost than systems specifically promoting themselves as being high performance, Green, LEED for Home Gold and Net Zero - Exceptionally low energy and maintenance costs – Lower long term ownership cost – Projected long term higher resale value and ROI. The claim of projected higher resale value is based on the rapidly emerging trend within the real estate sector, including realtors, appraisers, financial institutions and the MLS (multiple listing service) all placing growing focus on a building’s actual physical, financial and environmental performance. As this very important trend continues to materialize, the exceptionally high overall performance of our buildings will make them stand out as significantly more desirable and a far better financial investment then the vast majority of other structures on the market within their specific category. 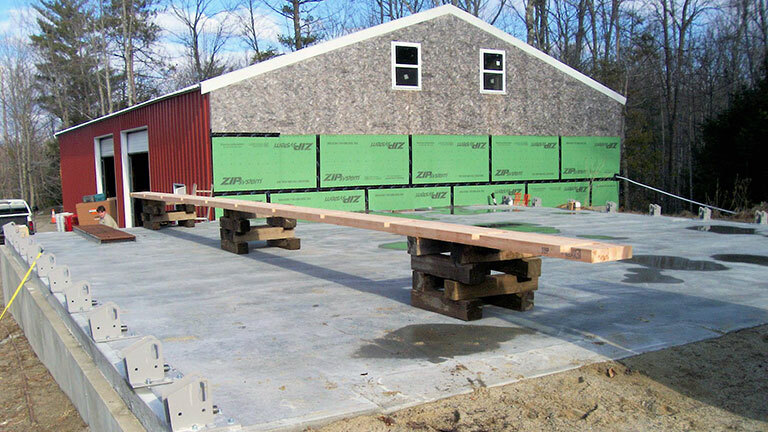 To maximize energy performance and minimize energy cost, this building uses a four stage insulating system. 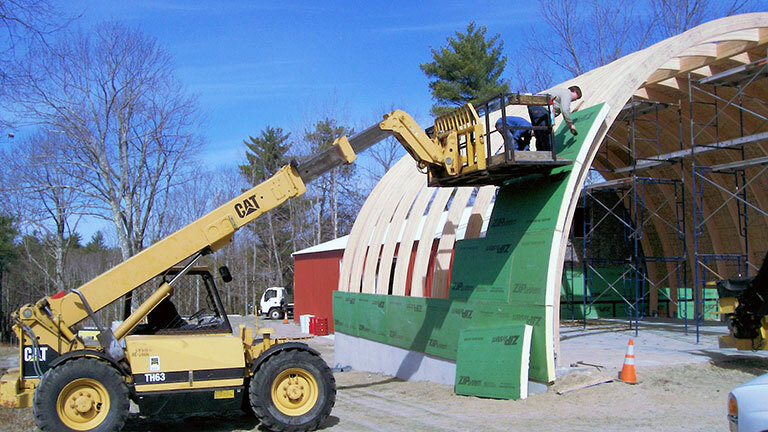 First, the shell is covered in very dense curved 6" thick "Ultra High Performance", structural insulated panels (SIPs). 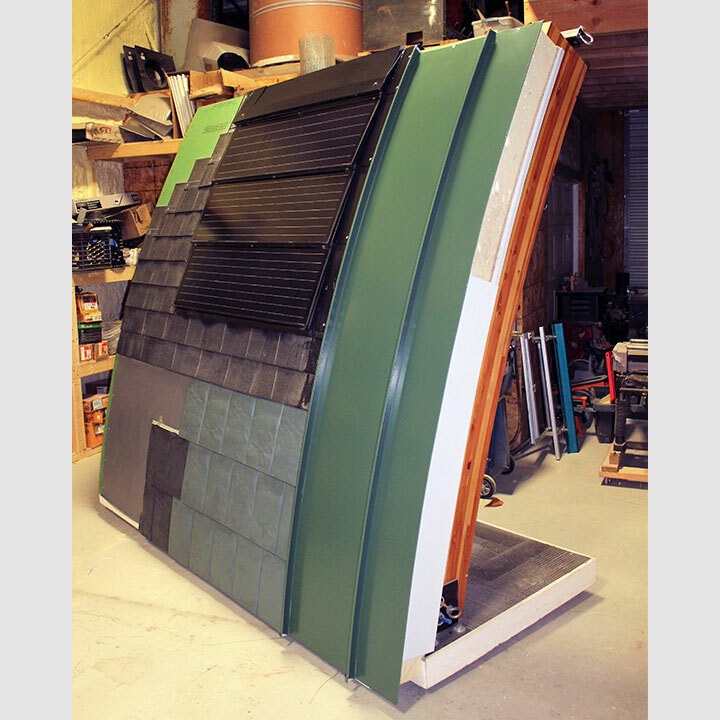 Second, each SIP panel is manufactured with a recess area around the entire perimeter of the panel. 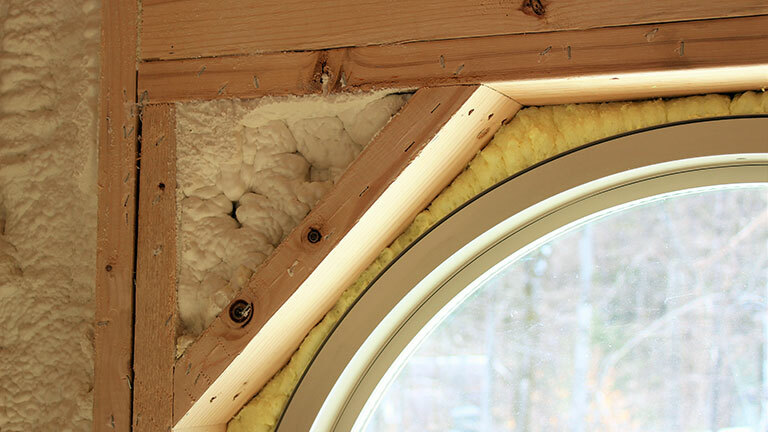 Once installed, high density foam is injected to fill the cavities around every panel to form a solid and uninterrupted band of insulation over the entire curved shell. 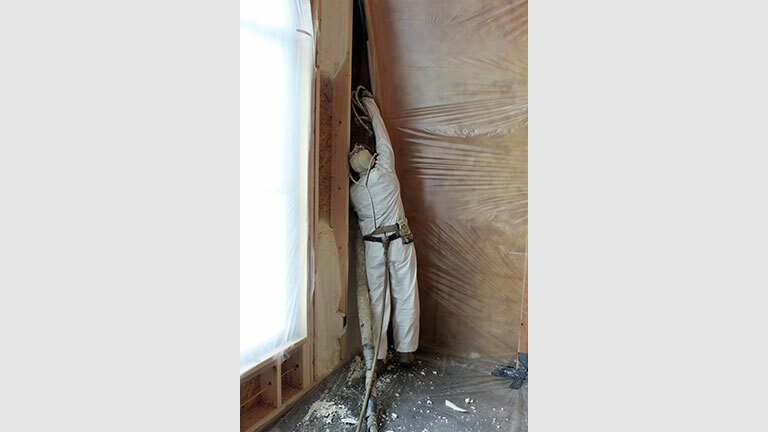 Third, the interior framing cavities of both gable end walls are sprayed with additional high density foam, a process that efficiently fills in very small spaces in the framing and around doors and windows that other insulating material would not perform as well in. This third stage adds both increased insulation performance and higher structural integrity to these wall assemblies. 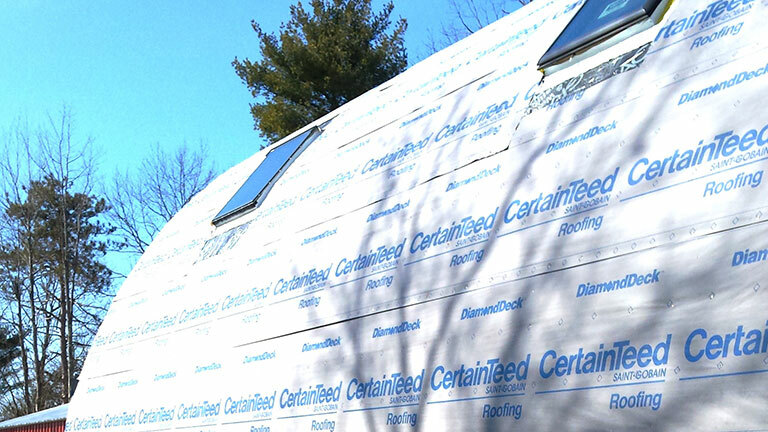 And fourth, the exterior surface of the gable ends are sheathed with a layer of foam board insulation to act as a thermal barrier for any potential thermal transfer through the gable end framing materials. 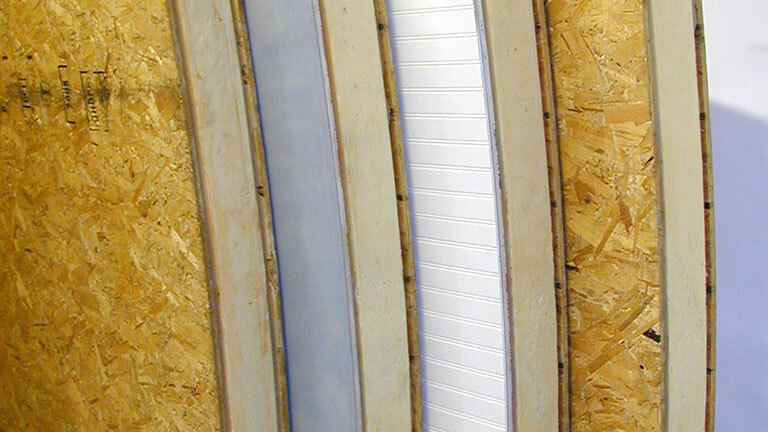 To enhance the insulating performance of the system, no channels, cavities or slots are cut into the insulation area for running mechanical systems since wiring and plumbing materials are run and protected inside the shell. 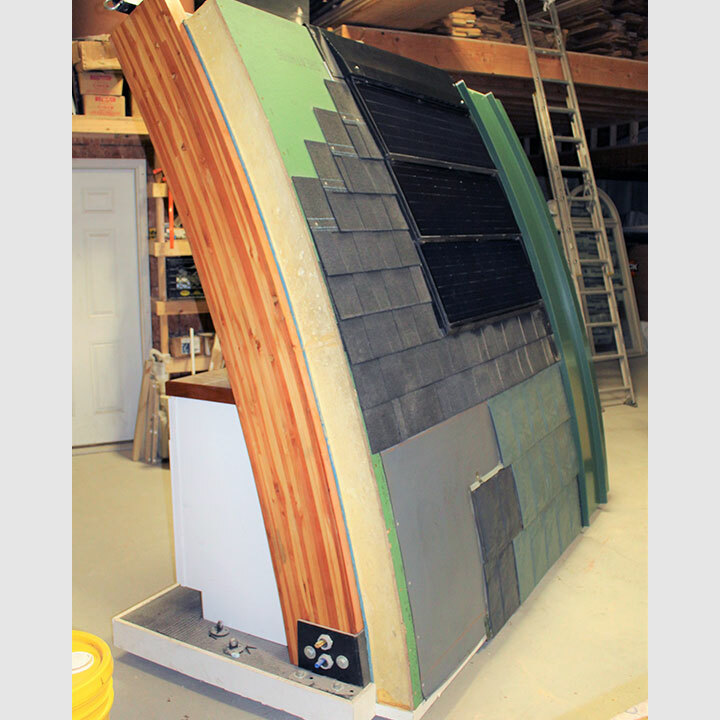 This display unit illustrates the use of asphalt shingles, solar shingles, metal shingles, standing seam metal and membrane roofing materials. 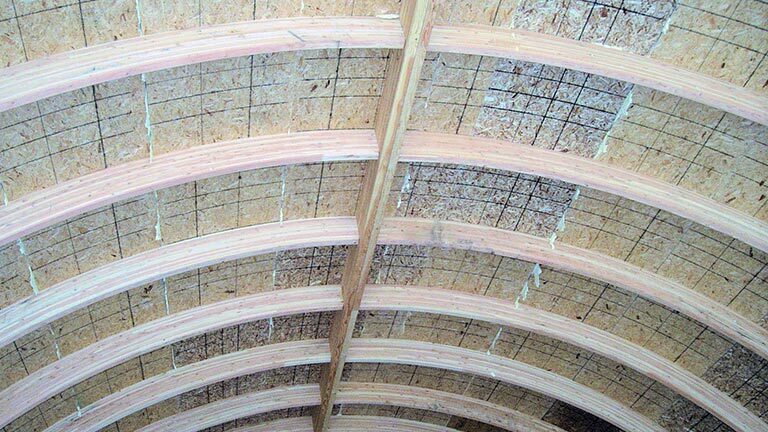 In addition, this building shell system naturally provides two avenues for extending the useful life of many roofing materials. 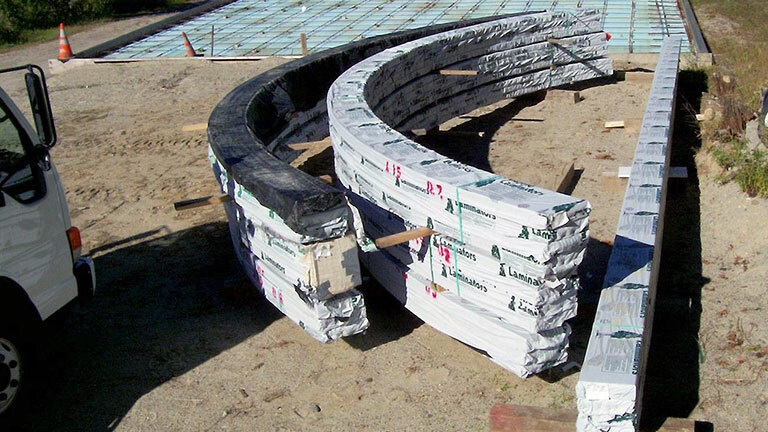 First, the curved geometry of the structure can significantly reduce the wear and tear on roofing material since flat areas are exposed to considerably longer periods of direct hit and heat building UV rays from the sun while curved surfaces naturally deflect most of these same damaging rays. 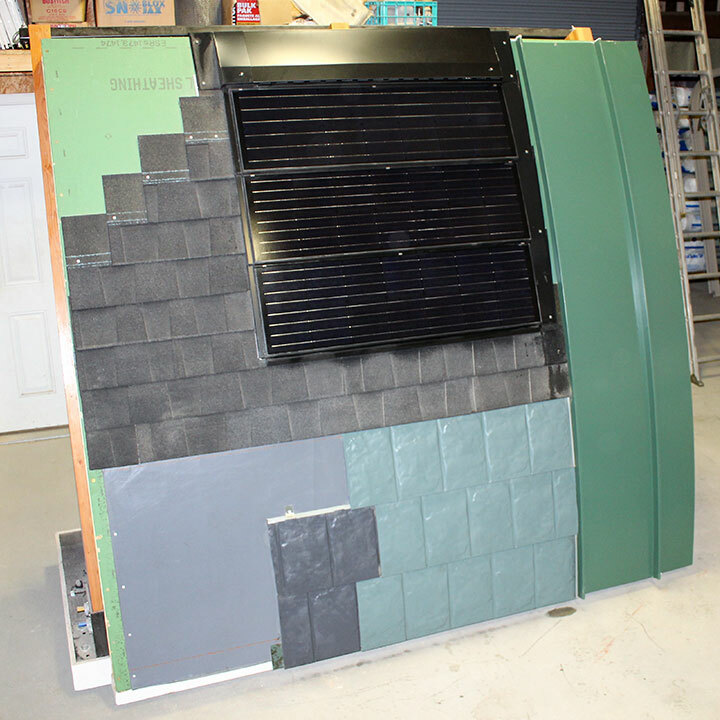 And second, due to the dense insulation system, the roofing material is not exposed to degrading consequences caused by underside heat build-up from hot attic and other open areas under the roof on hot days.